*DISCLOSURE* Thank you to Keystone Meats for providing product samples in order to facilitate this post. All thoughts are strictly my own. 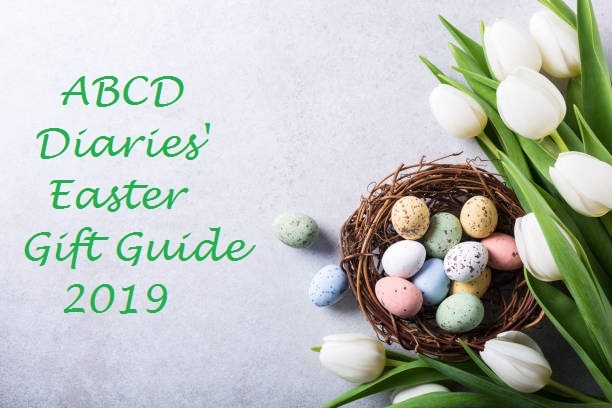 Our schedule is always super busy during the Spring which means we are always looking for ways to shorten our time in the kitchen without sacrificing taste or eating every meal from a drive through. 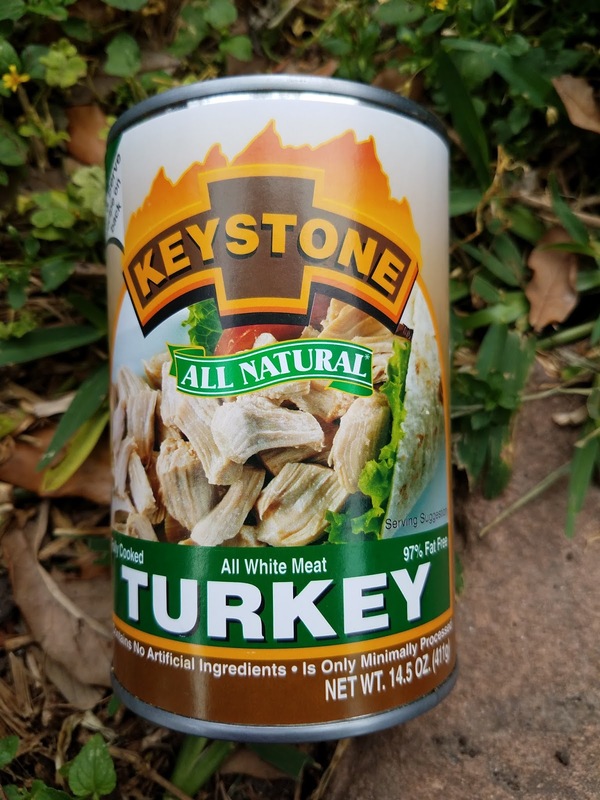 Keystone Meats offers real meat options that help you get dinner on the table a little more quickly on those busy nights! 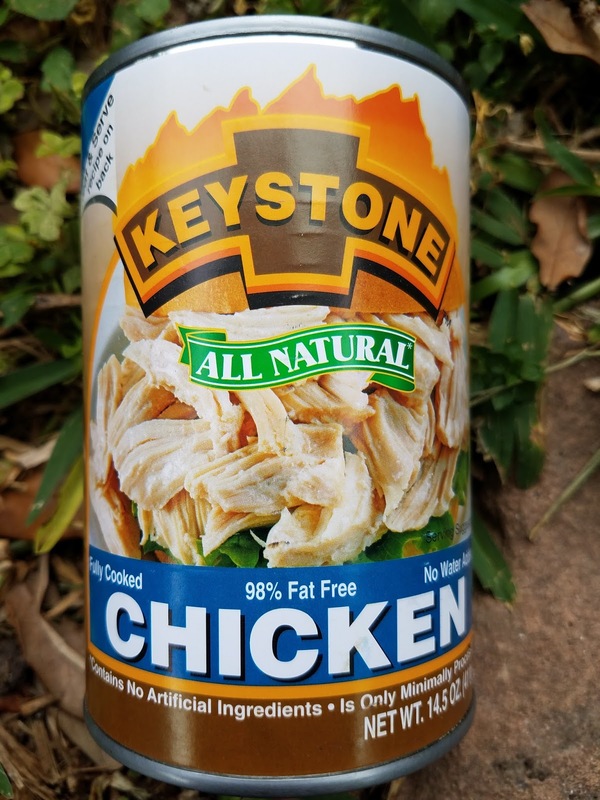 For over 60 years Keystone Meats has been producing quality all natural lean meats without artificial ingredients. 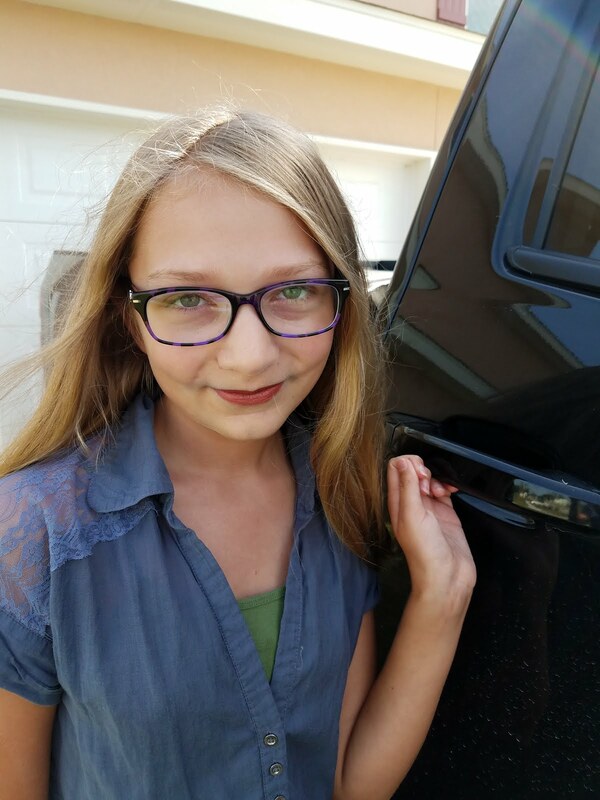 They make products that you can feel good about serving to your family. Premium USDA beef hand-packed into a convenient can makes your recipe easier. 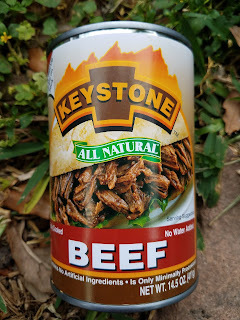 This all natural beef has only two ingredients: beef and sea salt. Perfect for quick meals like stew, stir fry and more! 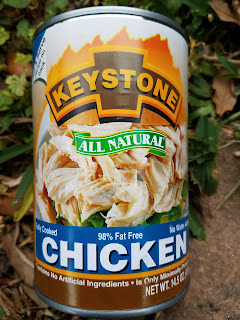 Flavorful and hearty chicken hand-packed into a convenient can makes your recipes easier. 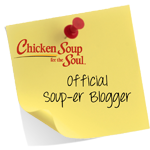 This all natural chicken has only two ingredients: chicken and sea salt. Perfect for quick meals like chicken salad, fajitas and more. Try it as a pizza topping! 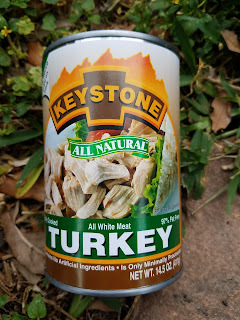 All natural turkey without all the prep and cook time. Meat hand-packed into a can makes your recipes more convenient. This turkey has only two ingredients: turkey and sea salt. Perfect for quick meals like enchiladas, chili and more! I love that these meats are made in small batches and are hand-packed using lean USDA meat and sea salt and that's it! 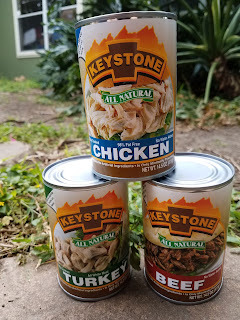 All Keystone meats are slow cooked in the can to maintain their natural juices and maximize flavor. The result is perfectly cooked, all natural lean and tender meats with no added ingredients or preservatives. You can use these canned meats in place of fresh meat in any of your recipes and get pretty good results. We found the beef to be delicious in stew, the chicken was perfect for chicken salad and the turkey was amazing in a Mediterranean wrap! The possibilities are endless with Keystone meats. Decrease your meal prep time and spend more time doing the things that you and your family love this Spring by incorporating convenient and tasty Keystone meats into your recipes!